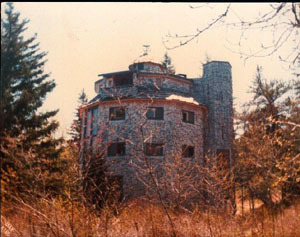 Dragonwood Castle in Prospect Harbor, Maine was built by David Lee who specializes in building houses in the "Storybook" style. Some look like castles, and others do not. He built and lives in a house called "Millennium Lodge" which is now for sale.